Have a good work ethic. There are some links to Amazon on this website. If you click one and buy something, I might make a little bit of money. I don't get any books or anything for free. Except for the books I check out of my local library. Libraries rock! All content copyright 2014-2019 by Kate Degelau-Pierce. I was not a Downton Abbey fan. Let’s get that out of the way up front. I just didn’t see the point, really. Much like getting to the end of this book: it was a fun read, but I didn’t get it. Belgravia is a ritzy neighborhood in London, developed in the 1830s. Belgravia, the book, follows a wealthy, but working, family who lost their daughter in illegitimate childbirth 20 years earlier. It turns out that the father was the son of a Duke, tragically killed in the battle of Waterloo. This particular story is about figuring out what’s happened to the baby now that he’s grown and the intrigue around who knows what about him. It’s very soap opera-y. But that’s about it. The historical detail is interesting; and I always think manners and etiquette are interesting, despite often thinking they’re ridiculous. I mean, I get it, to a degree, but there are always cases I don’t understand. Anyway. 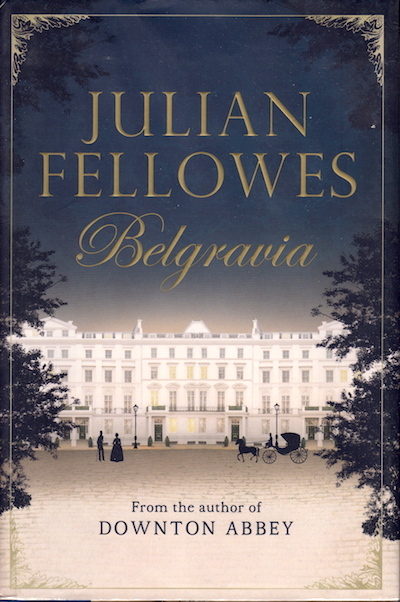 Belgravia is an elegant, enjoyable read, but I’m not sure there’s a lot of substance there. Previous Previous post: Why am I still reading these?